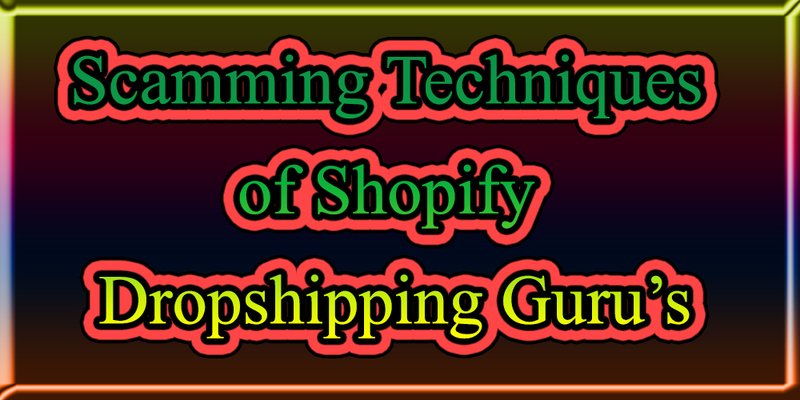 People who are into Drophshipping business come across several videos which are all about Dropshippers making tons of money from their Dropshipping stores. You need to identify if they are fake or genuine. The simple and direct reason is money. People who want to make money on YouTube will tell you tons of ways in which you can adopt to grow your Dropshipping store. They do this to get views on their videos. People who are new into this business will obviously click and view such videos. More views fetch more ad revenue to the person who is making this video. Such videos are created by Dropshipping Gurus without any prior research or actually trying out all the methods. They usually copy content from other videos and upload certain tactics and certain ways to grow your Dropshipping store. People who are making these fake videos will trick you into thinking that they actually know what they are talking about. When they build your trust, they start to sell their course and earn money through it. There are people who even upload fake results in their videos or just copy all the content and remake other Dropshipper’s videos. In this way they start to earn ad revenue in very short span of time. Tons of screenshots of other people’s Dropshipping results are available on Google. Instead of creating screenshots, they just save the already uploaded screenshots from Google and use in their videos. People can also trick you by making fake orders. People create a Shopify store and have products but place fake order by themselves to trick people into believing that they are actually having amazing sales from their store.